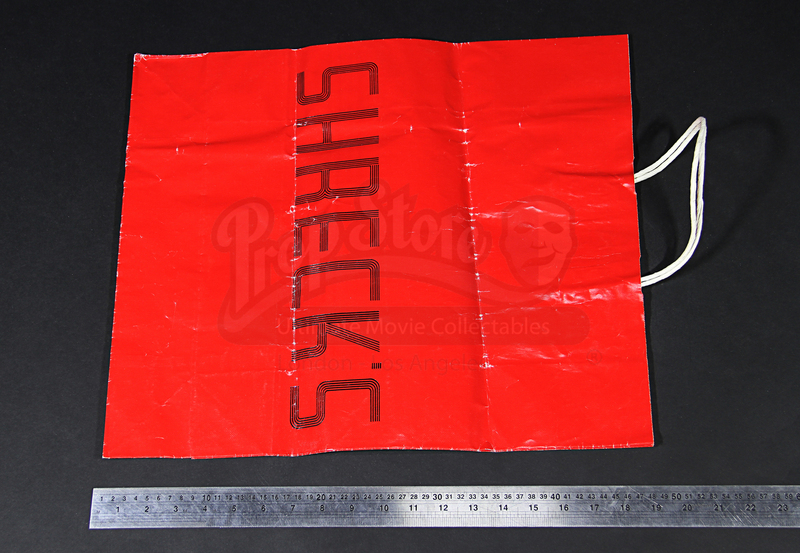 A “Shreck” store bag used in the production of the 1992 comic-inspired action sequel Batman Returns. 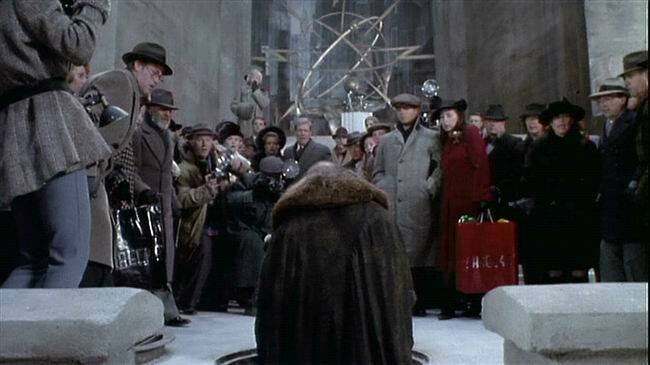 When the Penguin (Danny DeVito) rises to the heights of Gotham’s elite, teaming with secretary-turned-cat burglar Catwoman (Michelle Pfeiffer) to rid the city of Batman (Michael Keaton), the caped crusader must use all his cunning to save Gotham City and restore peace and order. This bag and others like it were used by Gotham City shoppers who bought items at Gotham department store Shreck’s, owned by the diabolical Max Shreck (Christopher Walken) – the man behind the Penguin’s sudden meteoric rise. 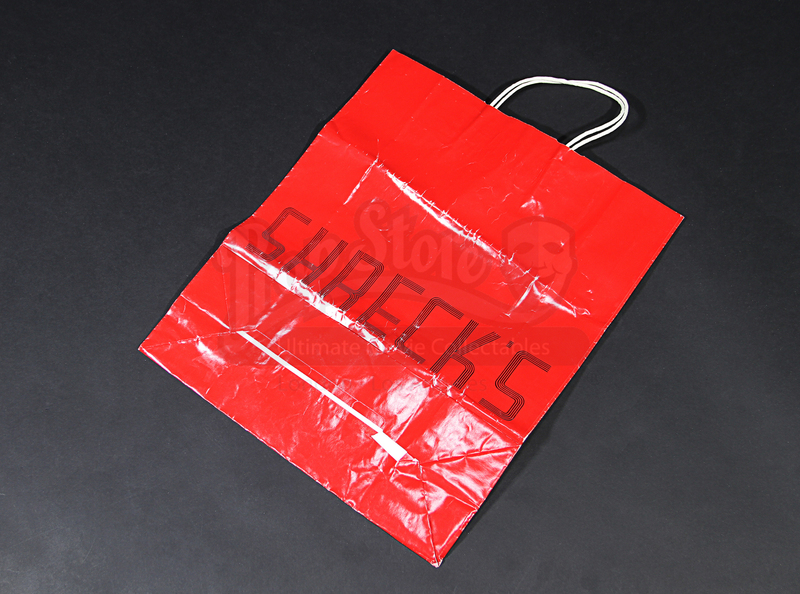 The bag is made of red paper with the “Shreck’s” store branding printed on silver on the outside. 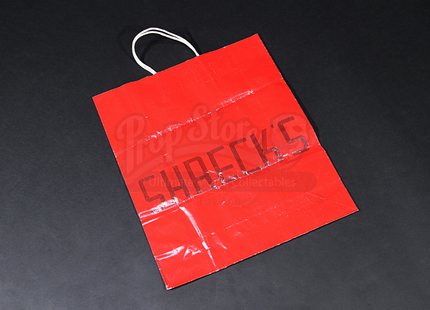 Displaying moderate wear from use on the production, the bag remains in overall good condition, measuring 41cm x 48cm x 15cm (16” x 19” x 6”) when filled. 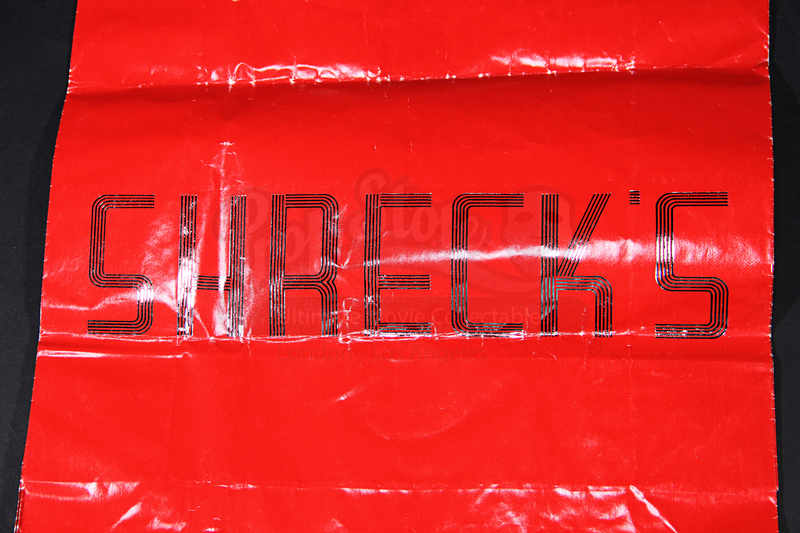 Materials: Paper, Man-Made Woven Fibres.